Russia will expel 23 diplomats of British Embassy in Moscow, Russian Foreign Ministry declared Saturday. 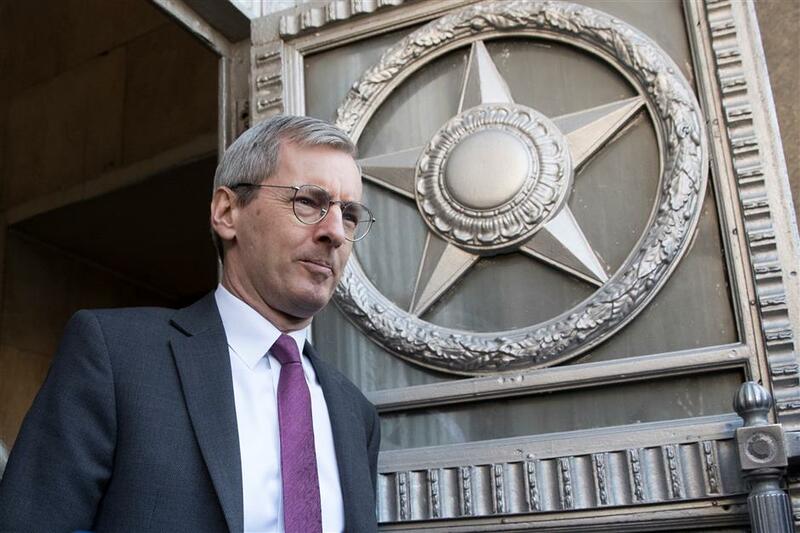 British ambassador to Russia, Laurie Bristow, leaves after a meeting at the Russian foreign ministry building in Moscow, Russia, Saturday, on March 17, 2018. Russia announced on Saturday it will expel 23 British diplomats and halt the activities of the British Council in response to London's "provocative" measures over the poisoning of a former Russian double agent and his daughter. "Twenty three diplomatic staff at the British embassy in Moscow are declared persona non grata and to be expelled within a week," the foreign ministry said in a statement after summoning the British ambassador Laurie Bristow. It said the move was a response to Britain's "provocative actions" and "baseless accusations over the incident in Salisbury on March 4," referring to the poisoning of Sergei and Yulia Skripal with a nerve agent developed in the Soviet Union, which Britain has blamed on Russia. Russia also said it was halting the activities of the British Council, Britain's international organization for cultural relations and educational opportunities, across the country. And the ministry had also warned Britain that "if further unfriendly actions are taken towards Russia, the Russian side retains the right to take other answering measures."